Beautiful detail and Born comfort make the Born Pinal the wedge you’ve been looking for. 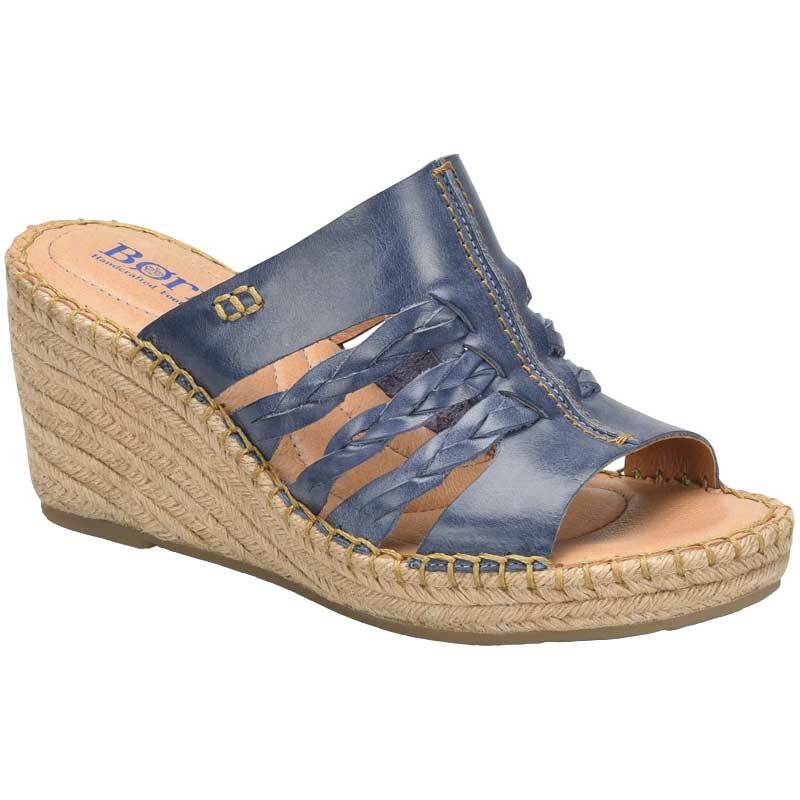 The upper of this sandal is made from rich full grail leather with intricate braid detail and stitching accents. The jute-wrapped wedge perfectly pairs with your favorite summer dress and Born’s Opanka Construction keeps the Pinal lightweight even with a 3 ¼” wedge. Leather linings and a leather covered footbed are easy to wear right out of the box so leave the house in something special like the Pinal wedge from Born.